Engagement sessions, I love them! Just like a wedding day there is a lot of planning involved in making any engagement session a successful one. For many clients this is one of the first times they’ve had a professional photographer photograph them. One of the most important parts of an engagement session is location. While I have a list of locations that I know are perfect for engagement sessions, I always ask my couples to pick their engagement session location. When choosing a location for your engagement session I suggest making it personal. Pick a location that is special to you and your fiancé. The location could be where you got engaged, where you had your first date, or a place that you love to go on the weekends. No matter what location you choose make sure it’s a place you love. Not only will you love the images more, you will feel more comfortable at a location that is special to you. From a photographers perspective the best time to shoot is the hour before sunset into the actual sunset. This is what we call the golden hour in the photography world. All that means is the sun is lower in the horizon; this position of the sun creates softer more golden color light that is perfect for creating great images. Photographers like myself can work in any lighting condition, but I promises if you plan your engagement session around the “golden hour” you will love, love, I mean love your images! Go ahead and pamper yourself a little! Having a professional do your hair and make up will make you feel great and look even more stunning then you already are! Need help finding a stylist? Just ask. There are plenty of stylist that love working with photographers and I can help you find one. I always tell my clients to wear clothing they're comfortable in and love! If your comfortable in your clothing you will be more comfortable posing and being in front of the camera. Secondly, you will love the way you look in your images if you wear clothing you love. For colors I always suggest fairly neutral colors, but as long as you’re not wearing super bright colors like all hot pink, most colors look great on camera! Feel free to bring two outfits as well. If you would like to bring a change of outfits, I say go with one look that is casual, and one that is more night on the town. This will give you options for your save the date cards and two different feels to your engagement photos. I suggest having that beautiful engagement ring cleaned before your engagement session. Just like you, you want your ring to look it’s best in your photos. Not only will it sparkle a little more in photos with your fiancé, but will look great in the close up images I will create with it! My number one tip is to relax, have a good time, and be you! 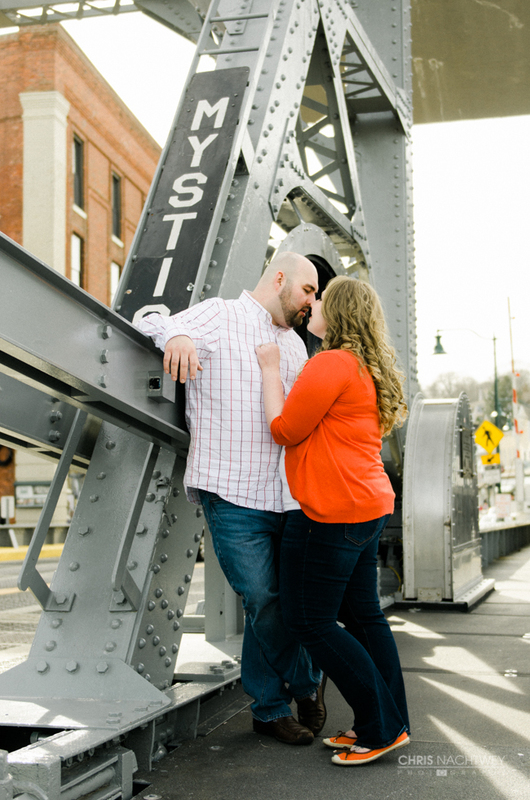 Engagement sessions are tons of fun and low stress. They are all about capturing the excitement of being engaged and the love you and your fiancé have for each other! 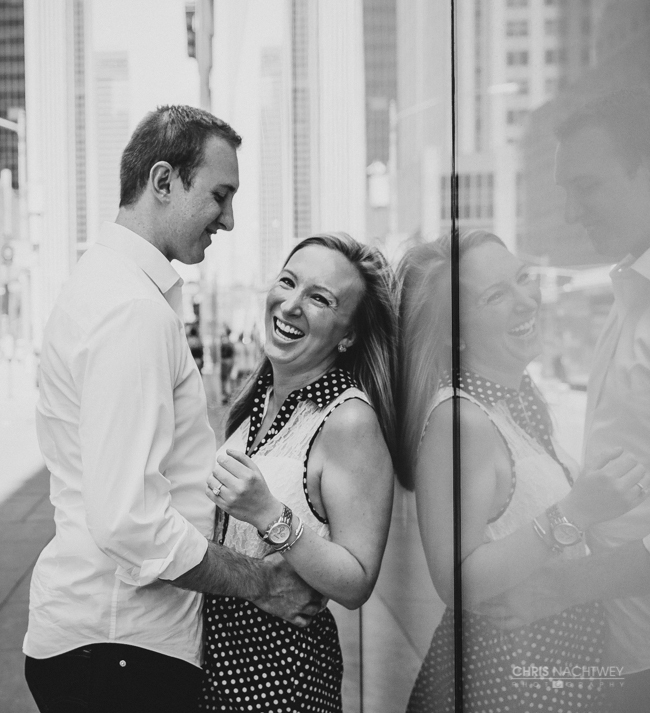 There you have it, five simple tips for a great engagement session. I’m game for pretty much anything. When the time comes to plan your engagement session ask me anything. Props, crazy fun locations, and unique ideas are always welcome!